I just want to have a little piece of mind and take a rest from unending thesis, so here I am, updating the blog again! But no review yet (but soon hopefully), just some easy tutorial i made few days ago. 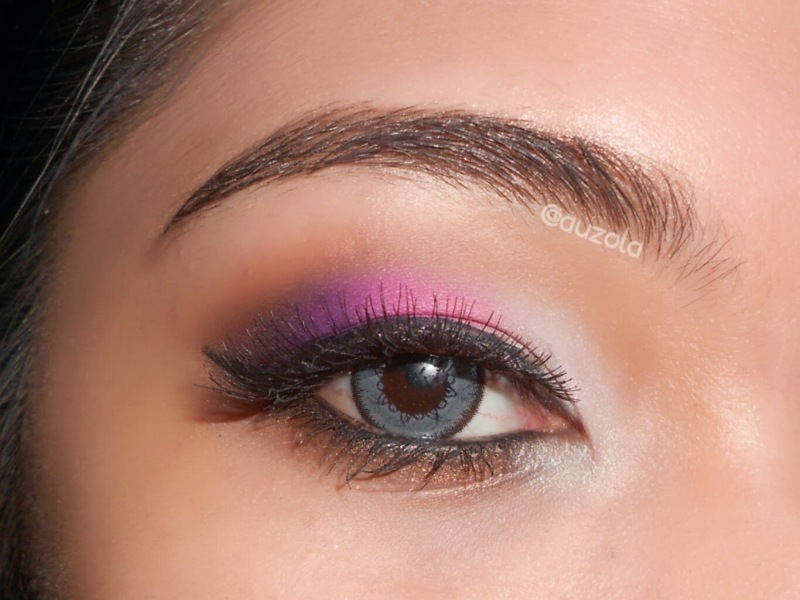 Eye makeup for valentine's day! 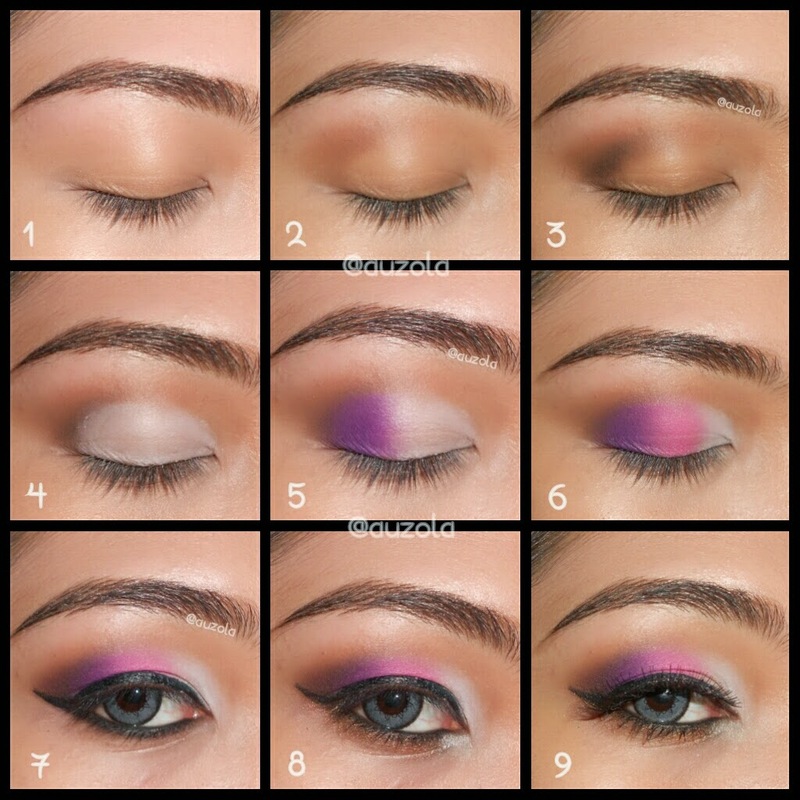 This eye makeup is contain purple, pink and white because it's inspired by the lovey-dovey cuteness from valentine. Nothing much actually, but i guess it's gonna look nice if you want to go out for a date on your valentine's day with a more colourful eye makeup. 2. Apply light brown on your outer v and blend it toward you crease. 3. Add darker brown and blend with the lighter brown. 4. Apply white eyeliner all over your lid as base for the next color. 5. 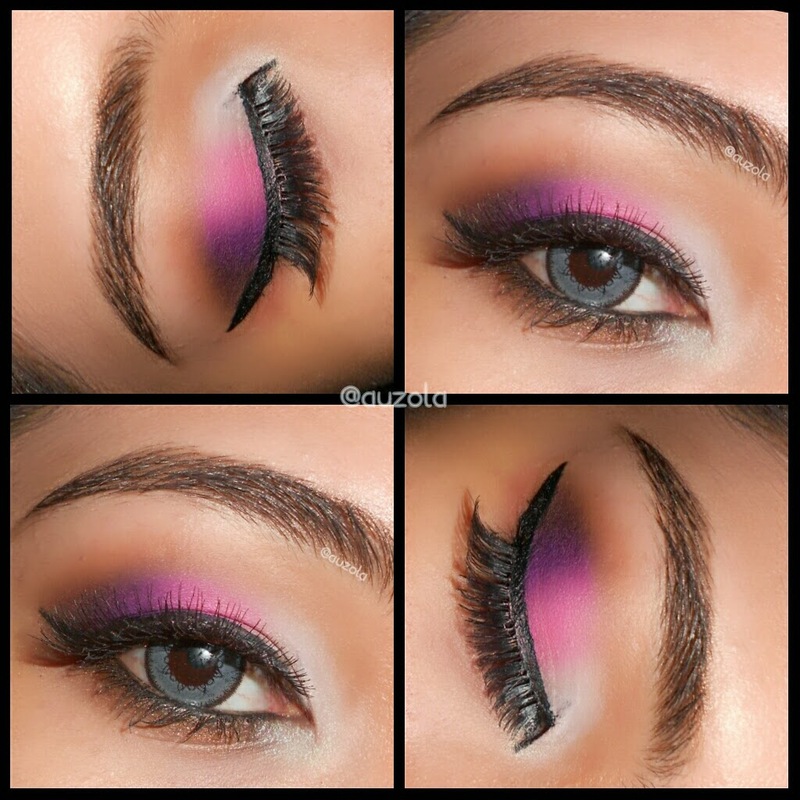 Apply purple eyeshadow on the outer lid. 6. Add pink eyeshadow in the middle and blend it well. 7. Apply your eyeliner and winged it. 8. Add dark brown on your lower lash and white eyeshadow on the inner corner. 9. Apply your mascara and put on your fake eyelashes. That's all! To tell you the truth i didn't get a chance to take more picture as my softlens suddenly malfunction because some dust or eyeshadow leftover make it dirty, that it started to make my vision blur and hurting my eyes, so i take it off with tears..which made my eyeshadow, eyeliner plus mascara messy because i accidentally rub my inner corner . So yeah, i was too lazy to fix things up so i just erase it once and for all. Hahaha. Bad luck. Anyway i hope you enjoy my eye makeup tutorial! See ya on my next post!